Baci Tile and Stone is a family owned and operated business. We provide the newest, innovative and modern tile on the market. From glazed ceramic and porcelain, to natural stone, and other interesting floor and wall treatments you won't find anywhere else. We are experienced professionals here to help design & install these products to create your dream home. Palm Springs Specialty Glass Mfg. Best of Houzz Winner! 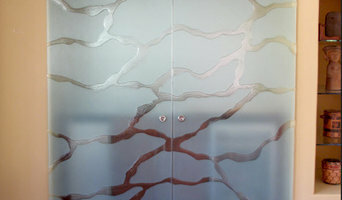 Cast Glass Images, Inc. is the leader in architectural and decorative glass fabrication. 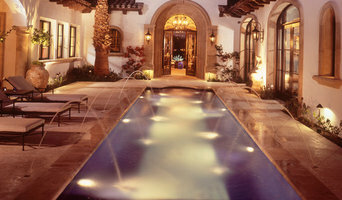 We provide architects, interior designers, contractors and homeowners with exceptional designs. With over 10 years of experience in tile design here in the Coachella Valley Fina Meraz is extremely knowledgeable and has a proven history of excellent customer service assisting clients with all of their tile needs whether is new-construction or remodeling. The owner, Fina Meraz, has over 10 years of experience in tile design here in the Coachella Valley. She is extremely knowledgeable and has a proven history of excellent customer service assisting clients with all of their tile needs whether is new-construction or remodeling. Fina takes a hands-on approach when designing for her customers providing everything from sourcing slabs to concept sketches. Fina has an eye for design and a passion for decorative tile. She also has the ability to understand what her customer’s want while staying within their budget. Fina has the ability to guide her clients through the endless available tile and hard surface selections. She ensures that all the details are covered and that the project is a success with the ultimate goal of customer satisfaction. 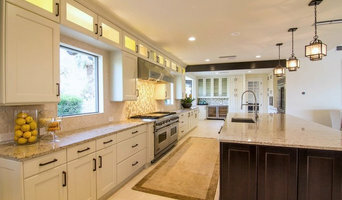 MC Tile & Stone Inc.
We are a local tile & stone contractor specializing in kitchen and bathroom remodeling and renovations throughout the Coachella Valley area and surrounding cities for 10+ years. AST Stone Corporation has been providing architectural stone materials and design services since 1992. With a unique palette of the finest quality stone products from around the world, we provide all types of natural stone, including limestone, travertine, cantera, and marble. We also specialize in the design and marketing of cast stone architectural elements, providing stone that is manufactured with steel reinforcement and with color processes that make it more versatile and economical for many design applications. With a vast variety of unique colors, textures, and finishes, we can custom craft or manufacture natural and cast stone to meet virtually any interior or exterior design need. We supply, design, and install a full range of stone architectural products, including cladding and veneer, flooring, tile, hardscape, molding and trim, fireplaces, kitchen range hoods and corbels, columns and pilasters, staircases, balustrades, window and door surrounds, fountains, and much more. Our friendly staff is committed to your complete satisfaction, and to helping you turn your design visions and dreams into quality products and installations. When you entrust your projects to AST Stone, we start by providing outstanding design services with AutoCAD drawings and personalized guidance to select the best possible materials for your needs and budget. We work with you at each step to ensure that your architectural stone will achieve the look, feel, and function that you desire, including custom hand-carving and manufacturing and full-service installation. You will experience the difference in working with a team of true professionals and with a company that is focused on quality assurance and design excellence with careful attention to every detail. Contact us today to arrange a consultation and free estimate for your next project, and we’ll be happy to put our expertise and commitment to work for you. We are a family owned & operated company that focuses on offering our clients complete flooring solutions at affordable prices. We have an extensive variety of products in every quality & price range. Modern Home Design Showroom is your One Stop Shop for residential and commercial design. We pride ourselves on great customer service tailored to you. We specialize in Mid Century Design and the Palm Springs feel as well as contemporary and fun classic looks to update and preserve the integrity of your home. We work with Designers, Contractors and Homeowners and are know for our extensive selection of unique floor and wall tile, wall coverings, carpet, lighting, door and cabinet hardware, countertops and more. We even have vintage furniture, architectural salvage, sculpted wall panels, art and other great resources for your modern home needs. I will take your best interest to heart and work hard to deliver the best possible outcome for you, while always striving to provide the best service possible. Here at Lofstrom Tileworks we are a Temecula-based company that specializes in building bathrooms and kitchens, and have 18+ years experience. We have traveled to, and lived in, many different parts of the world and this has contributed to a well-rounded cosmopolitan view of tile and style. When we work with you we create a comfortable, confident, and creative tile environment. We care about your final outcome and treat your project as our own. We feel our strength is careful communication with our clients so you feel security and confidence. With a unique palette of the finest quality stone products from around the world, AST Stone Corp provides all types of natural stone, including limestone, travertine, cantera, and marble. Custom made counter tops from soapstone and other natural stones. We also do fireplaces, barbecues, birdbaths, and anything you can think of with stone! With over 20 years of experience in the home improvement industry, Phoenix Stone specializes in fabrication all the way to installation for all your granite, marble, quartz, and stone projects. With our recent acquisition of Temecula Stoneworks, we are the area's experts in natural stone products such as granite, marble, travertine as well as tile. Brazilian Exotic Granite is a direct importer and distributor of premium quality natural stone including granite countertops, granite, and flooring in Rancho Cucamonga, San Marcos, and San Diego. We specialize in providing a large variety of granite, marble, onyx, quartz, and travertine. We proudly work directly with some of the largest quarries and stone factories in Brazil to provide our clients with a high quality material at a competitive price. Explore our website and see for yourself why Brazilian Exotic Granite is so unique. You will discover the natural beauty of the world in our extensive natural stone selection. Check out our 5-Star Rating on Yelp! We import, fabricate and install granite counter tops. From start to finish, we have invested in the very best technology to produce a level of craftsmanship that was once unachievable. From a digital measure of your cabinetry to CNC machining (computer numeric control), our fabrication is as precise as the latest technology will allow. Through this process your carefully selected slabs are fabricated to insure a virtually seamless fit with exacting detail. Glaring seams? Not in our kitchens! Stonecrest Marble & Granite, Inc.
Family owned & operated since 1997. We import, fabricate, and install a variety of natural stone products for both residential & commercial applications. We are a full service stone facility. We provide material sales in Slab marble, granite and man made quartz such as Ceasarstone, Silestone and Pental quartz. We carry a full line of floor tile and mosaics ranging from Mediterranean influenced design to Modern contemporary. Our clients have the luxury of our in house design service at their disposal. Our services include design measure manufacture and expert installation of all of our products. In addition to our stone and tile work we also offer Waterjet cutting services for metal, aluminum, steel, glass and other materials where precision is a must. Ask me about... Tile - Stone - Remodel - Design! Designer - Artist - Craftsman - Fabricator - Builder... From a small backsplash or floor to a complete kitchen, bathroom or entire home! We are a local tile & stone contractor specializing in kitchen and bathroom remodeling and renovations throughout the Coachella Valley area and surrounding cities for over 10 years. From simple tile flooring to complex design and custom tile installation, we are here to help. Our attention to detail and expert craftsmanship will bring your home to life! Customer service, Communication, and Quality Craftsmanship… This is why we are the preferred tile contractor among homeowners, general contractors and home builders. Tile, stone and countertop projects might not sound especially complicated, but they can be surprisingly hard to get right. Seeking expert assistance can help homeowners save time, money and frustration. Contractors who specialize in this field are trained to install and repair tile and stone surfaces in your La Quinta home, from flooring to backsplashes, as well as countertop materials such as solid surface, granite and marble. In addition to basic surfaces, many La Quinta, CA tile, stone and countertop contractors can create and install murals and mosaics, as well as add decorative edge treatments to countertops. They also repair or replace surfaces in the event of chips, cracks, stains or other damage. Many tile, stone and countertop professionals also install shower pans, radiant-heat flooring systems and other common components of surfacing jobs, often working in tandem with La Quinta, CA plumbers or other professionals. Here are some related professionals and vendors to complement the work of tile, stone & countertops: Interior Designers & Decorators, Architects & Building Designers, General Contractors, Kitchen & Bath Designers, Design-Build Firms. Find a tile, stone and countertop contractor on Houzz. 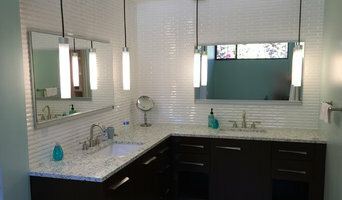 Narrow your search in the Professionals section of the website to La Quinta, CA tile, stone and countertops. 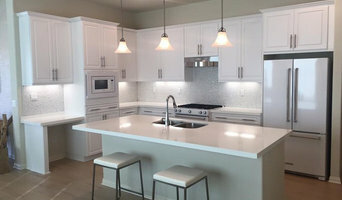 You can also look through La Quinta, CA photos to find tile, stone and countertop projects you like, then contact the contractor who worked on it.